England emerged from an ill-tempered game against Colombia to book their place in the quarter-finals with Sweden, thanks to their first ever penalty shootout win at a World Cup. Having taken the lead thanks to captain Harry Kane, England conceded a goal at the death from Yerry Mina, before they faced the ultimate test of nerves from 12-yards. Gareth Southgate’s decision to make eight changes against Belgium has now been vindicated, but which three lions roared the loudest against Colombia? It could be said that each game the Bury born wing-back has been growing into the tournament. 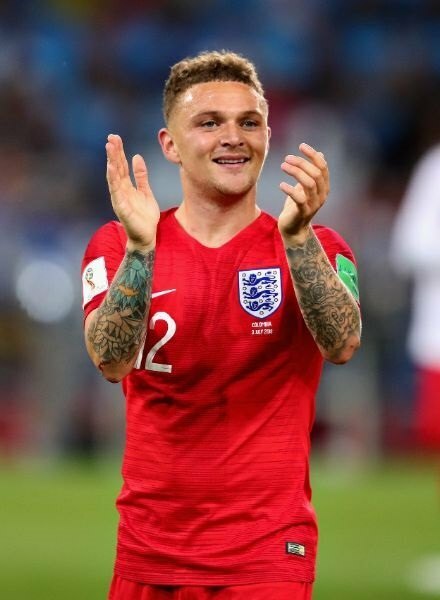 But in truth, Kieran Trippier has been exceptional from the opening game, and has maintained his level of performance. Against Los Cafeteros, he had the most passes in the final third (28), won the most tackles (8), and had the most key passes (5), including his whipped cross to Kane that should have opened the scoring. Comparisons to David Beckham are premature to say the least, but the former England captain would have been proud to have converted Trippier’s pressure penalty in the manner that he did. The Spurs man, with just 10 caps, is now a key member of England’s first XI. Branded as too short by Thibaut Courtois, and subject to widespread criticism for parrying shots back into dangerous areas against Belgium, Pickford was England’s hero on Tuesday evening. 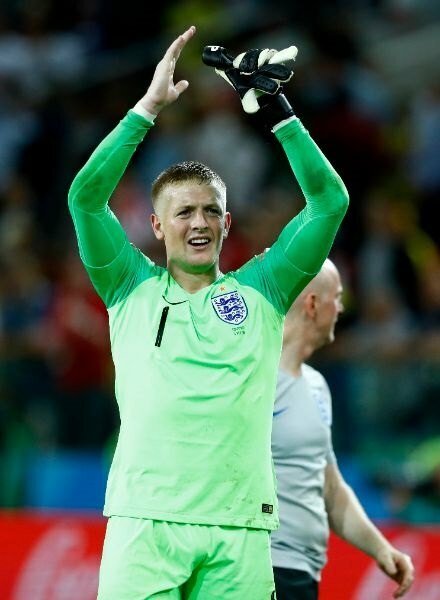 If he was the default keeper before Colombia, the Round of 16 tie saw the custodian become England’s number one. 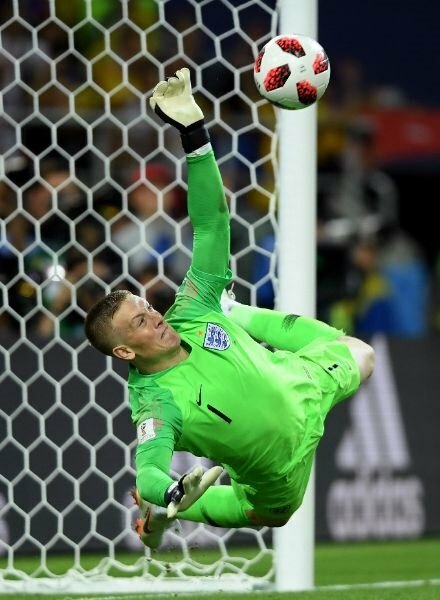 Largely untroubled throughout the game, Pickford produced a glorious save from Mateus Uribe’s stunning speculative effort in stoppage time to preserve England’s lead. And despite conceding a goal from the resulting corner, his outstanding save in the shootout to deny Carlos Bacca was pivotal in the Three Lions advancing to the quarter-finals. The youngest England captain at a World Cup continued his Roy of the Rovers tournament with another goal and Man of the Match performance. It continues his streak of scoring in every game he has captained his country. It has taken just nine shots to reach his tally of six goals. Kane, 24, is now a shoo-in to win the Golden Boot. In just three appearances, he has scored more World Cup goals than Geoff Hurst (5), Sir Bobby Charlton (4) and Michael Owen (4); only Gary Lineker (10) has more. Delayed several minutes before being allowed to take England’s penalty, which also saw Colombian players attempt to sabotage the penalty spot, the talisman remained unflappable. 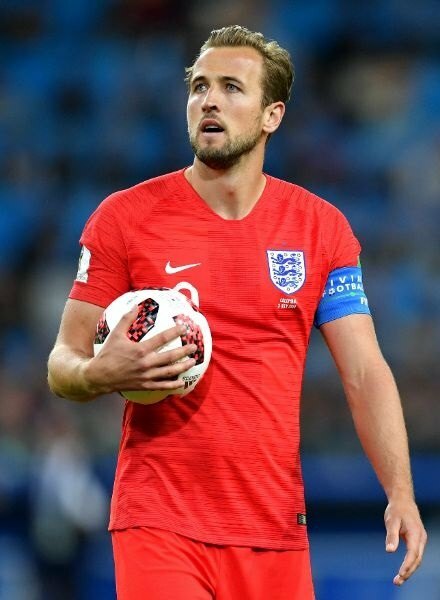 Not just a goal scoring threat, Kane held up possession admirably winning several free-kicks to put the Three Lions in a position to attack. 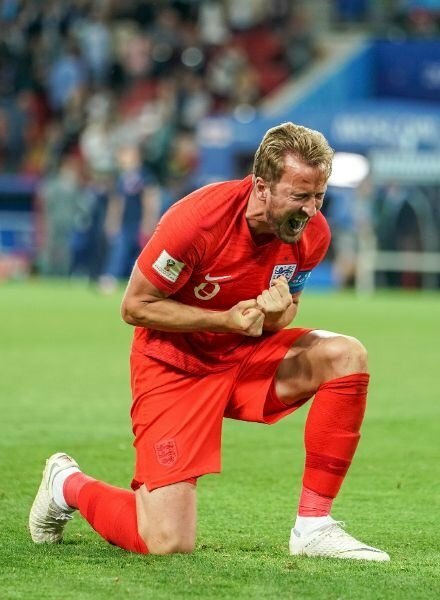 His fine display was capped off with another unstoppable penalty, as England won their first ever penalty shootout at a World Cup. Ashley Young: Without James Rodriguez, Juan Cuadrado was Colombia’s best outlet. However, Young ensured it was a quiet night for the former Chelsea winger. A cool head when temperatures were rising, Young also provided a constant threat from the left flank. 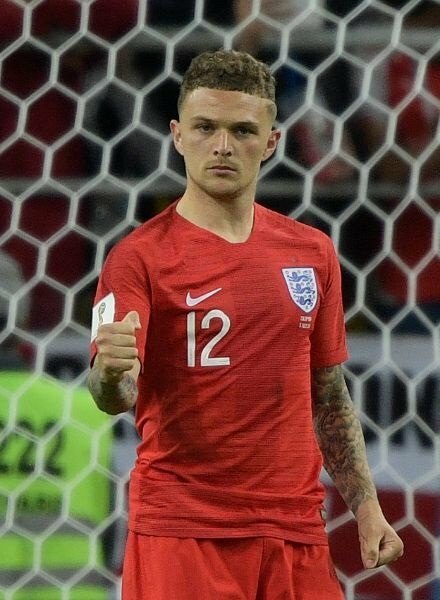 Jesse Lingard: His link-up play with Trippier has been a feature of some of England’s best moments from open play in Russia. When the Three Lions were on top in the first half, Lingard was a protagonist, completing all of his 12 passes in the final third; more than any other player. He could have also won a penalty late on, when he had the Colombian defence scrambling.